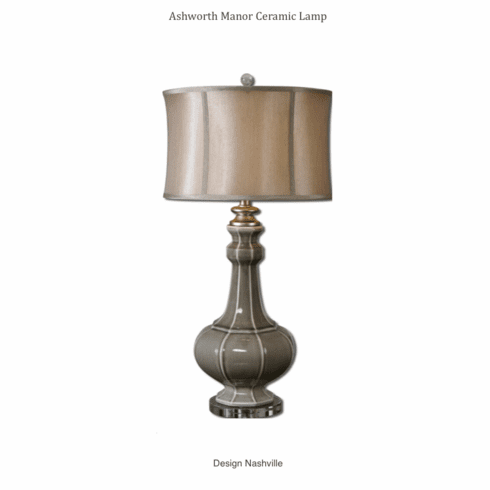 Sophisticated ceramic lamp with trendy crackle grey finish and sophisticated faux silk shade. Crackled gray ceramic with ivory undertones, antiqued silver details and a crystal foot. The round modified drum shade is a silken champagne bronze fabric. 32" high shade 10" high 16"